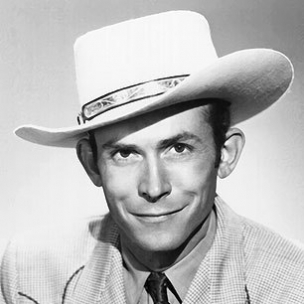 Born in Mount Olive West, Alabama in 1923, Hank Williams began his music career as a teenager, giving radio performances and making regional appearances with his band, the Drifting Cowboys. As his regional popularity grew, he gained the attention of music executives in Nashville, Tennessee and signed his first record deal in 1947. Shreveport radio station KWKH became interested in Williams, and in August of 1948, he joined the station’s Louisiana Hayride show. Williams' career reached new heights in early 1949 with the release of his song Lovesick Blues. The song reached number one and remained there for sixteen weeks. 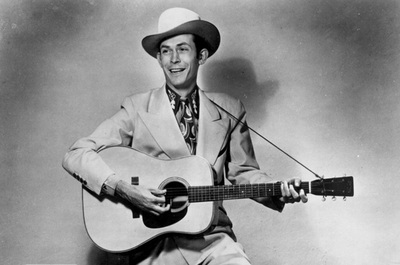 This success gave Williams the opportunity to sing on the Grand Ole Opry, but by the early 1950s, Williams’ career and life were in a tailspin. Afflicted with severe back pain, Williams became dependent on alcohol. Fired by the Opry for missed performances, Williams returned to the Hayride. In 1953, while in route to a performance in Ohio, Williams died at age 29. Williams was one of the first inductees into the Country Music Hall of Fame in 1961, and although his career was short, his impact on the music industry is still being felt today.